Gaming smartphones are slowly picking up the pace, and where manufacturers are aiming to launch devices with extremely slim form factors, other phone makers are determined to incorporate the best possible hardware and are not fretting over the thickness of these gaming devices. Rumour has it that Samsung is also venturing into this business and looking at the market the South Korean giant has amassed, and the monetary resources it has under its thumb, it should not be difficult for the company to sell a few millions of these. That is if this news turns out to be true. The news comes from the tipster known as MMDDJ_ in Twitter and in the past he has been somewhat solid in the predictions related to what Samsung will be launching in the future. Unfortunately, if you are interested in the specifications and other details of this rumored smartphone, then, unfortunately, the leakster did not bother to entertain us on this front, but if Samsung does have a gaming smartphone in the works, then it means that we will get to know something about it in the future. In terms of internal specifications, Samsung would have to do a little more than just opting for powerful hardware to make the phone stand out. Otherwise, it may fail to excite the customers, which is why the Galaxy S9 has had such an abysmal global sales performance. Moreover, Samsung needs to be able to differentiate the phone from its Galaxy S and Galaxy Note flagships. The company can take cues from the recently released gaming smartphones. For instance, the Razer Phone sports a 120Hz display for a seamless gaming experience but the primary difference here is that this device features an IPS LCD screen to obtain a high refresh rate for its gaming-centered smartphone. Samsung has used its Super AMOLED technology for a considerably long time for its mobile phones so it will be quite a difficult step for the company to shift from Super AMOLED to using an inferior display technology. 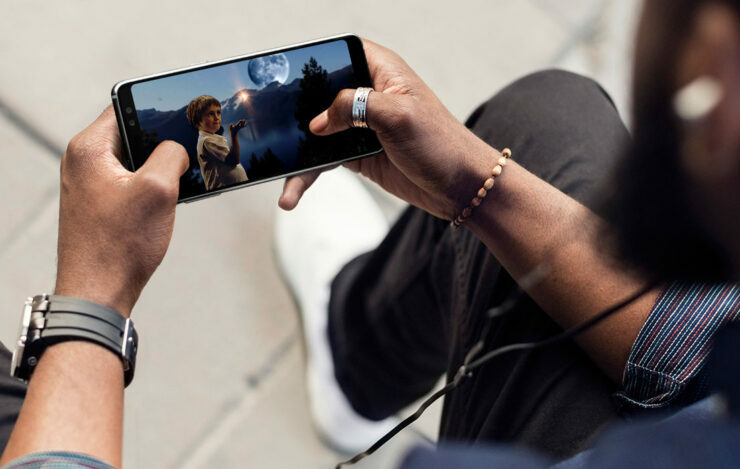 The reason being is that OLED screens on a smartphone sporting a 90Hz or a 120Hz refresh will be very costly, not to mention very stressing on the battery life while gaming. LG OLED TVs have a 120Hz refresh but they don’t have to rely on a portable power source, unlike a smartphone. What sort of features do you think Samsung’s gaming smartphone would sport if this device ever comes to pass? Let us know down in the comments.